The Costas code first described in 1965 by John P. Costas, is a kind of time-frequency-coded waveforms. Costas arrays were introduced as a means of improving the performance of radar and sonar systems. In time-frequency-coded waveforms a relatively long pulse of length τ' is divided into N subpulses τ1…N with each pulse at a different frequency. Each group of N subpulses is called a burst. Generally, the frequencies are equally spaced, and the pulses are of the same amplitude. If the frequencies are monotonically increasing or decreasing, the waveform is simply a stepped approximation to a intrapulse modulation and pulse compression using linear frequency modulation (LFM). Costas codes are a class of frequency-coded waveforms. A Costas code is a burst of contiguous uncoded pulse waveforms, each with a different frequency selected from a finite set of equally spaced frequencies that are processed coherently.  Figure 1 shows an example of a burst of 10 subpulses as a matrix. The rows are used to denote the subpulses and the columns are used to denote the frequency. A “dot” indicates the frequency value assigned to the associated subpulse. Blue dots show the frequency assignment associated with a monotonically increasing stepped frequency waveform. 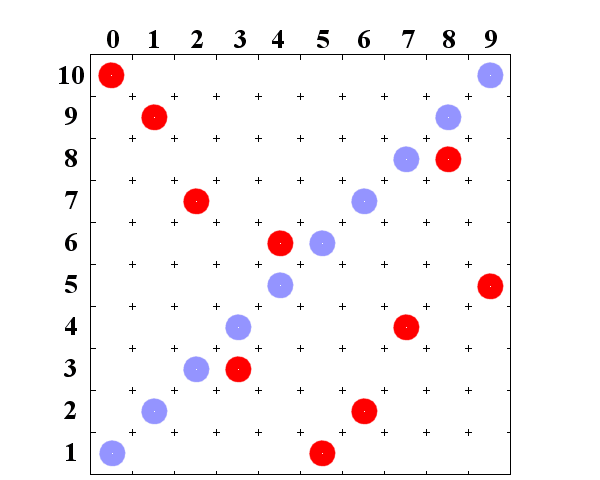 Red Dots show the frequency assignment associated with Costas code. Costas codes have near ideal range and doppler sidelobe behavior providing both unambiguous doppler and range information. The order in which the frequencies are generated greatly influences the nature of the ambiguity function of the burst. All sidelobes, except for few around the origin, have amplitude 1/N. Few sidelobes close to the origin have amplitude 2/N, which is typical of Costas codes. This uniform size of the side lobes make this waveform especially suitable for weather radars. The compression ratio of a Costas code is approximately N.